HP Tuners… they’re the LS1 people, right? 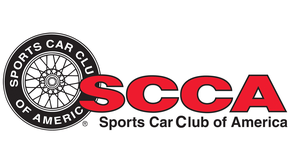 Nowadays, they’re one of the largest tuning firms on the planet, building their business on one thing: giving everyday enthusiasts the ability to modify factory ECUs to their heart’s content. We spoke with Nader Rayes, the company’s Brand Manager, and asked him a simple question: How did the niche GM tuning firm turn into one of the industry’s largest, with a list of supported vehicles covering 39 marques? HP Tuners’ owners prefer to avoid the spotlight, but they’re not hands-off businesspeople: They’re gearheads, and they started the company in their garage in 2003. Like many enthusiasts, they were discovering the affordability, compact size, and high power output of the Chevrolet LS1, a relatively new engine that was just starting to show up in junkyards and used car lots. Also like many enthusiasts, they were trying to tune their LS1 with early software aimed at DIY builders. Back in 2003, there wasn’t a great solution for that. For starters, the leading program required removing the PCM from the car for tuning, and it could be very slow and temperamental. Frustrated and out of options, the founders of what would become HP Tuners wrote the first version of the tuning tool for their own use, developing something that was easier, faster, and more reliable than other options. After a few friends showed interest, they realized they’d just started a new business, and HP Tuners was born. 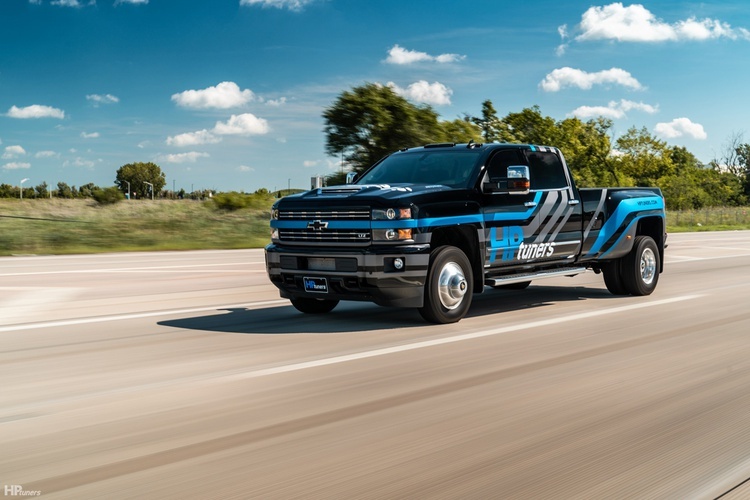 Over the next 10 years, HP Tuners became the king of GM aftermarket tuning, introducing their Multi-Purpose Vehicle Interface, or MPVI, and adopting a credits-based system to license tunes. What are credits? Each PCM, TCM, etc. costs a certain number of HP Tuners credits to tune, but once it’s been tuned for the first time, it doesn’t cost any more credits to change or upgrade the tune. Credits cost $49.99 each, and most of GRM’s favorite applications cost two credits to tune. If you frequently tune the same thing–Gen III LS PCMs, for example–then HP Tuners offers unlimited tuning of the same application for a few more credits (6, in the case of the ’98-’02 Camaro PCM). Credits meant a steady stream of income for the company, as well as pricing that scaled with tuners: A DIY tuner in their home garage would pay about $100 to tune their Camaro, while a professional shop that tuned all sorts of GM products would need to invest a few thousand dollars in HP Tuners credits. These costs are in addition to the purchase of the MPVI (the current version retails for $299.99). HP Tuners has a suite of tuning software that’s included with the purchase, and at GRM we’ve found it to be extremely feature complete, even if it isn’t the most intuitive program in the world. 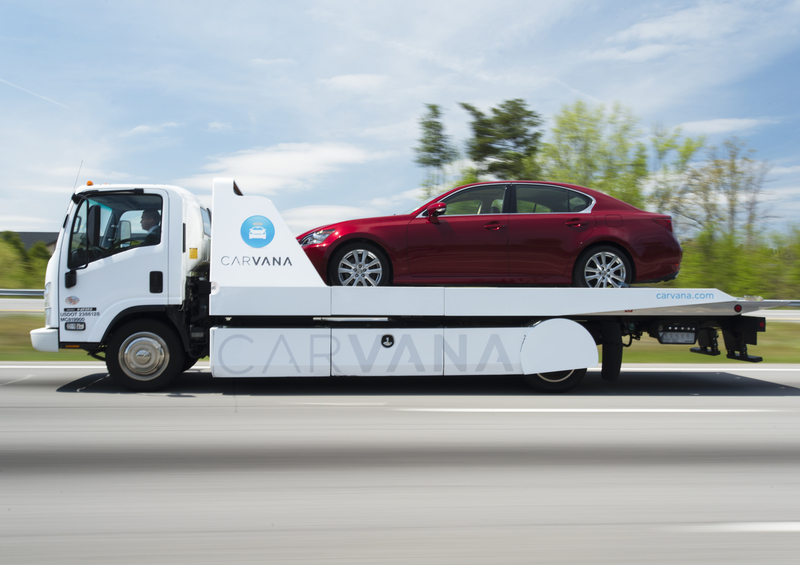 Four or five years ago, HP Tuners came to a realization: They dominated the GM market, but they wouldn’t be able to keep growing unless they expanded their offerings. 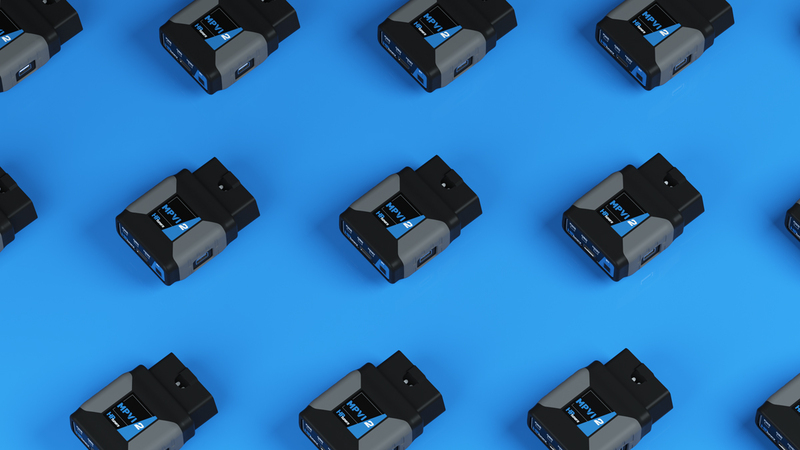 They’d built their business on bringing standalone ECU levels of programmability to factory PCMs with nothing more invasive than a plug into the OBDII port, and now were faced with the challenge of bringing that accessibility and control to as many vehicles as possible. Why the expensive talent? Despite what some may believe, Nader says that adding a new application isn’t easy: “We get absolutely no support from the OEMs,” he says. Teaching their software how to talk to a new car–an Audi S7, for example–requires getting a car, parking it in a garage full of experts in software, firmware, micro-controllers and embedded circuits, then locking the door until they’re able to tune it. Nader was hesitant to share too many details of the team’s process (it’s all proprietary information that a competitor would love to learn), but this isn’t the 1980s: Modern cars sport an unprecedented level of complexity. So, how did HP Tuners expand their applications list? As Nader tells it, market analysis and customer feedback. They mixed engineers and cars, waited for their software to support a new application, then rinsed and repeated. Sounds simple, but it’s not! As the years went on, previously-untunable cars fell like dominoes. Besides the vast catalog of cars that HP Tuners and a number of other companies can tune, Nader proudly boasts that they’re the only solution that can tune GM L5P diesels, and recently added support for modern supercharged Ford V8s, Toyotas, Nissans, Audis, VWs, Mercedes, Jaguars and Land Rovers. The original Multi-Purpose Vehicle Interface was on the market for 12 years, and it worked great–we’ve got one sitting in our toolbox. 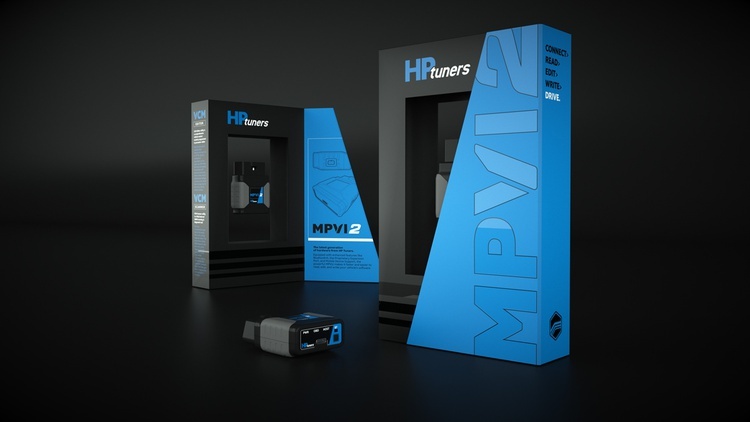 After 12 years, though, it was showing its age, and HP Tuners recently released a new version, creatively called the MPVI2. As Nader explains, there were a few reasons for the new interface. First and foremost, the old one was, well, old. It contained chips that were becoming increasingly hard to find, and it wasn’t as fast (or as well-connected) as it could be. So HP Tuners went back to the drawing board, designing an OBDII dongle that looks sort of like what Geico sends you to let them monitor your midnight pizza runs. It, like the original MPVI Pro, has the ability to monitor and record external inputs, too, allowing things like wide-band oxygen sensors to be added. There’s one feature of the MPVI2 that seems at first to be an outlier: Bluetooth. Nobody is tuning on an iPhone, right? No, but they’re doing something else: Using TrackAddict, HP Tuners’ answer to more expensive data acquisition systems. 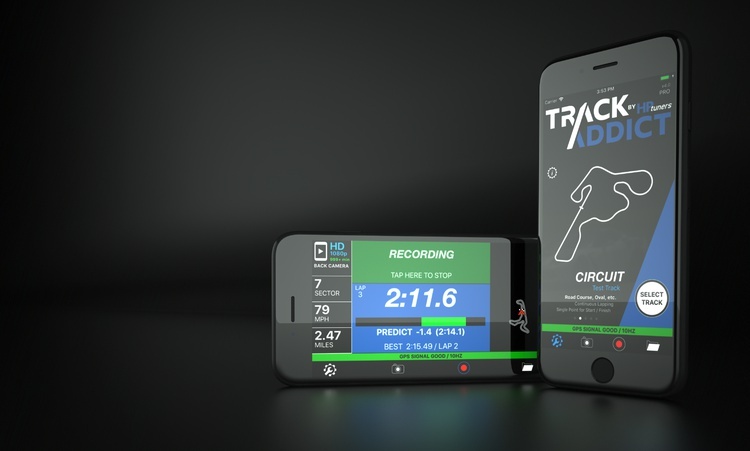 Starting at $free and costing $8.99 for the pro version, TrackAddict leverages data from the MPVI2 or other bluetooth OBDII interfaces to record lap times, OBDII data, acceleration and more, while also offering live telemetry to stream data back to your team in the pits. Pair the app with RaceRender, HP Tuners’ video/data overlay software, and you can create videos with data overlays for free. 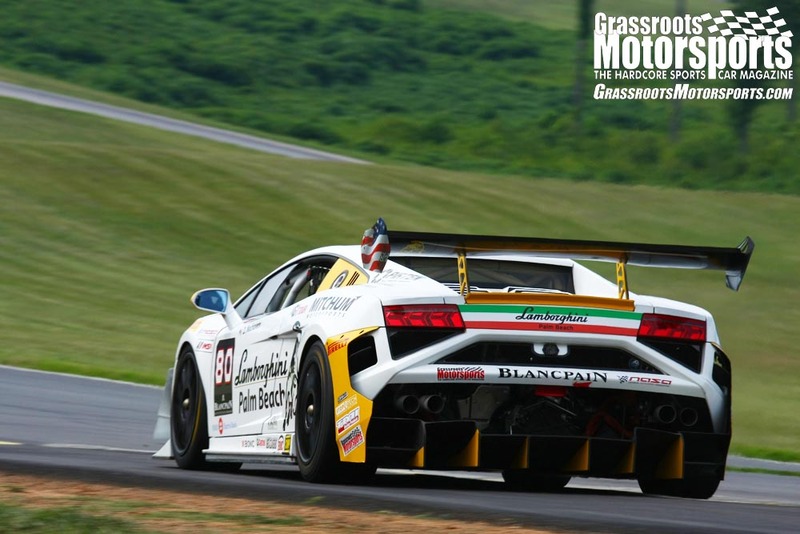 If GPS lap timing software seems out of place in a tuning company’s portfolio, you’re not alone. Nader attributes TrackAddict to those same gearhead owners, one of whom races a Trans Am 2 car, while the other has a son that races Formula Renault. They started using an early version of the app, decided it had potential, and bought it. TrackAddict and RaceRender are now part of an effort to build a broader ecosystem around HP Tuners’ MPVI2, making that $299 dongle the key to a whole world of possibilities. What’s next? Nader stayed quiet on this question but said their favorite part of the job was hearing feedback from customers. “In some cases, we’ve had requests for a new table in the tuning software, and added it the very next day,” says Nader. “We respond to every single piece of customer feedback, period.” He says there isn’t much his engineering team won’t at least try to add in response to a customer request, and with a building full of talented people, the sky is the limit. For now, though, HP Tuners is still moving full speed ahead on adding support for new vehicles. Follow them on Instagram and Facebook to keep up with new announcements, or just to see some awesome photos of cool cars. And if you’re in the market for a one-stop tuning solution, check their list of supported vehicles here.